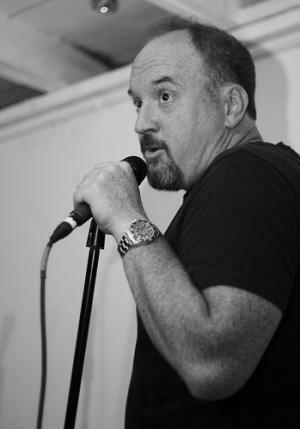 On Saturday, comedian Louis C.K. began a kind of experiment. He provided fans with a new standup special, “Louis C.K. : Live at the Beacon Theater” that they could stream or download for only $5. Yesterday, C.K. posted a statement on his site detailing the results of his experiment so far. C.K. added that it cost $170,000 to shoot the special and $32,000 to design the site in order to accomodate it. C.K. said that he embarked on this experiment in an attempt to make it as accessible as possible to fans around the world and deter individuals from pirating or torrenting it. “[A large production company] would have given you an encrypted and regionally restricted video of limited value, and they would have owned your private information for their own use. They would have withheld international availability indefinitely. This way, you only paid $5, you can use the video any way you want, and you can watch it in Dublin, whatever the city is in Belgium, or Dubai. I got paid nice, and I still own the video (as do you). You never have to join anything, and you never have to hear from us again,” C.K. explained. You can purchase “Louis C.K. : Live at the Beacon Theater” here. You can watch outtakes from Louis C.K.’s special below. I simply want to say I am very new to weblog and definitely liked this web site. Very likely I’m planning to bookmark your blog post . You definitely have amazing posts. Thank you for sharing your blog site.